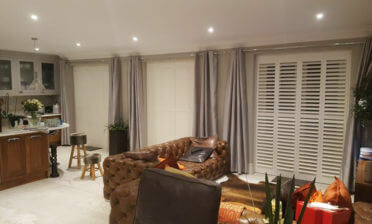 We were asked to fit some shutters for a client in Bluewater, Kent. 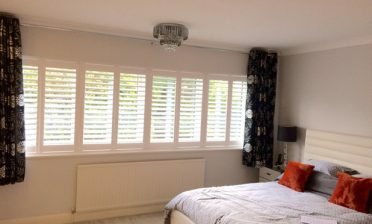 The customer was looking for an uncluttered, modern shutter solution which would help with privacy and noise reduction from the busy road located outside. 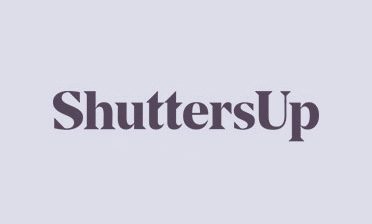 You may be interested to know that our shutters really help with noise reduction which we covered on our blog a few years ago. Shutters are considered the best window dressing for this as the hardwood creates an added barrier between the window and the room absorbing noise that would usually enter the room. Combined with double or triple glazed windows noise will be dramatically reduced! The shutters were fitted to a large square bay window in the lounge of this home featuring 10 panels in total spanning the length and edges of the window area. 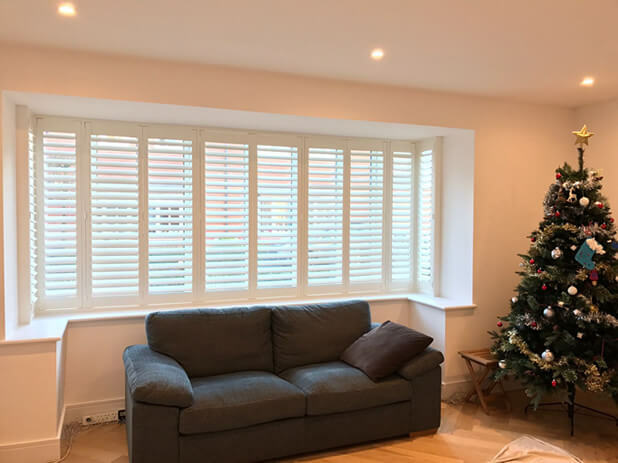 We created the shutters in a full height style from our Fiji Range featuring 63mm louvres and a silent tilt rod system, allowing for adjustment without the need for any rods throughout the installation. This really helps create the uncluttered feel that the client wanted to achieve. We used a silk white paint with matching hinges to finish the shutters, which was chosen to tie in with the decor of the lounge. Using this light colour combined with the north facing living room also helped with the reflection of light into the room when the louvres are fully open, helping to make the room brighter and create a larger looking space to enjoy.